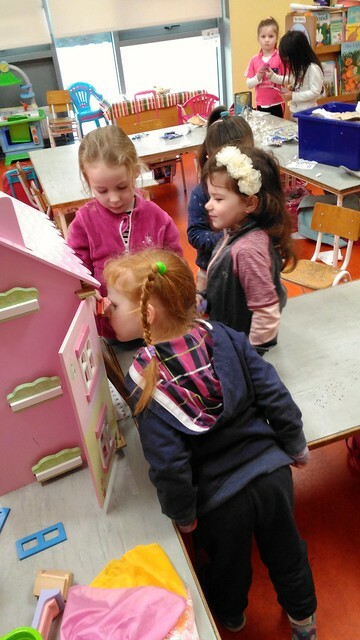 Aistear is a the Irish word for journey and can be described as the learning journey young children embark on once they start their education. 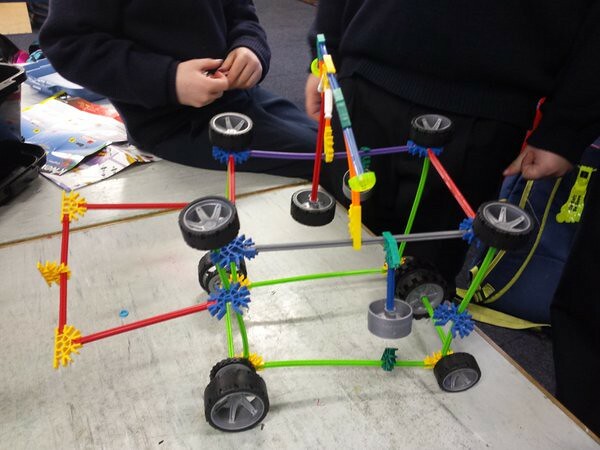 Aistear can be used in the pre-school setting and all the way up to second class in primary schools. 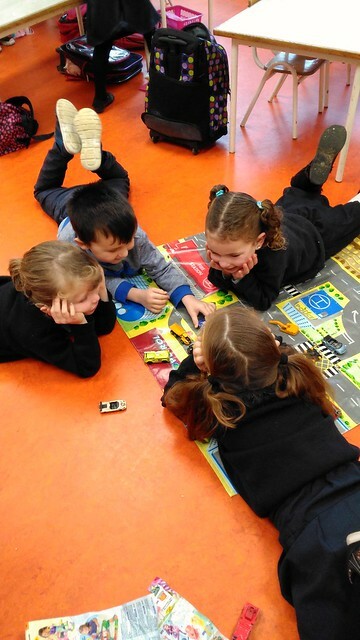 It involves the use of play as a platform for learning and pupils engage and interact in small group settings during the daily sessions. 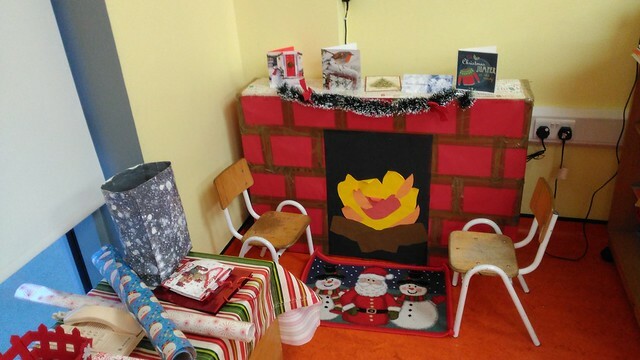 A typical classroom that is set up for Aistear will have a variety of areas for example: a socio-dramatic & imaginative role-play area, a sand area, an area for construction projects, junk art, water play, a small world area, a creative play dough / malleable area and a permanent feature in the Aistear classroom is the writing area for use by all groups. 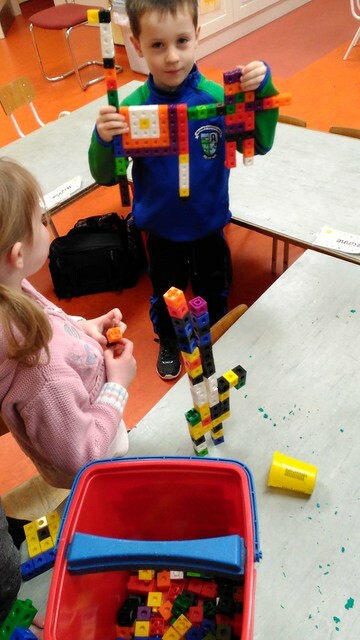 The session involves pupils experiencing child-led play, discovery learning, collaborative learning as well as providing them with a wealth of opportunities to interact socially with their peers and develop their oral language skills. 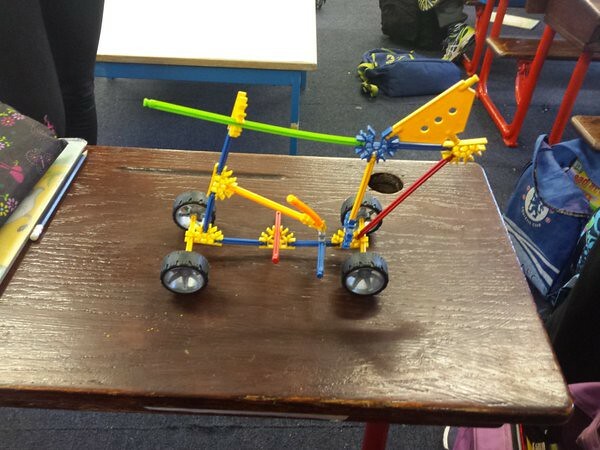 Aistear is the Irish word for journey and in second class this was evident in their construction activities throughout February where they started using K-Nex to design well known modes of everyday transport as well as imaginative modes of transport for use on the moon. 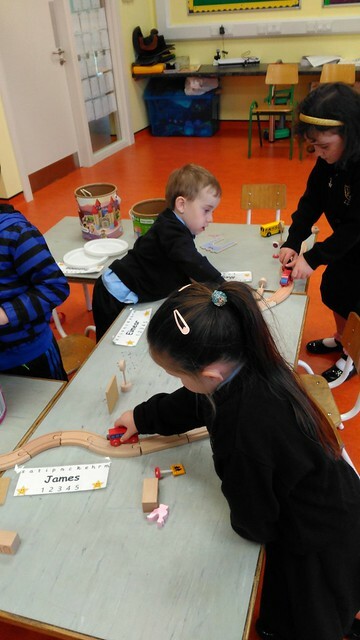 The Junior Infants take part in Integrated learning or Aistear each morning. 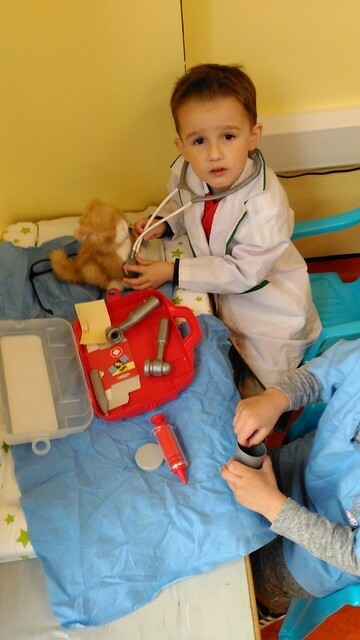 Some of the learning areas we have in the Junior Infant room are the Junk art area, the role- play area, the construction group, the play-dough group, the small world area and the sand and water area. 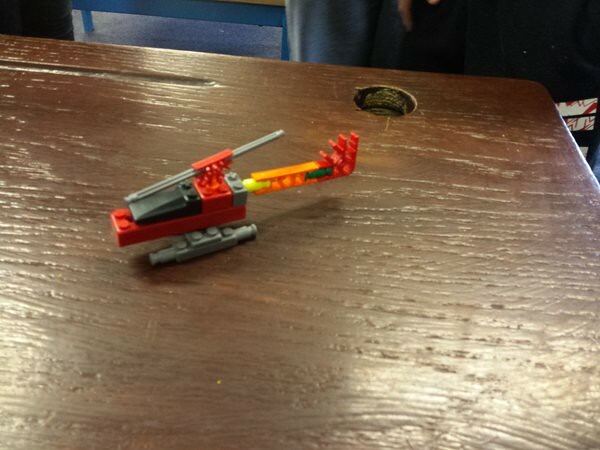 We have a different theme each month, depending on what we are learning about in the other subject areas. 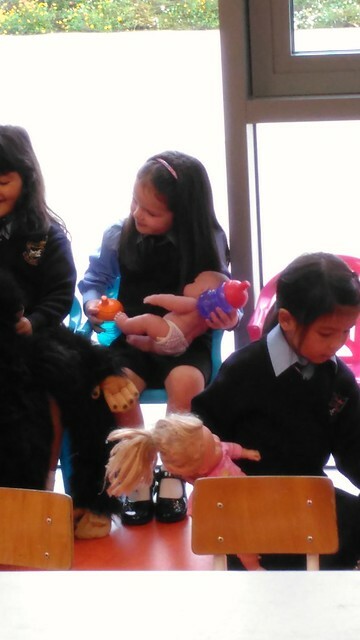 Below are some pictures of the Juniors exploring and learning through play this year. 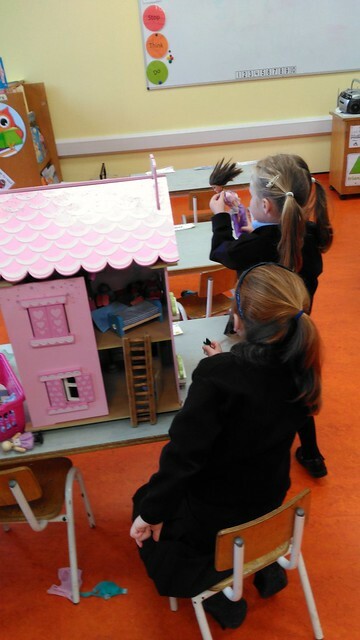 Pupils in second class enjoy their daily Aistear activities which focuses on learning through play. 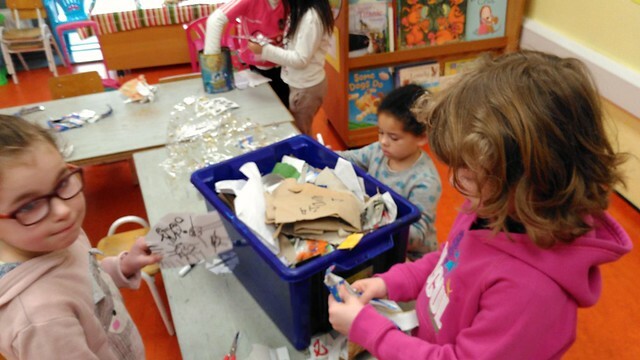 Pupils engage in many activities such as junk art, construction, creative play with playdough a well as games. 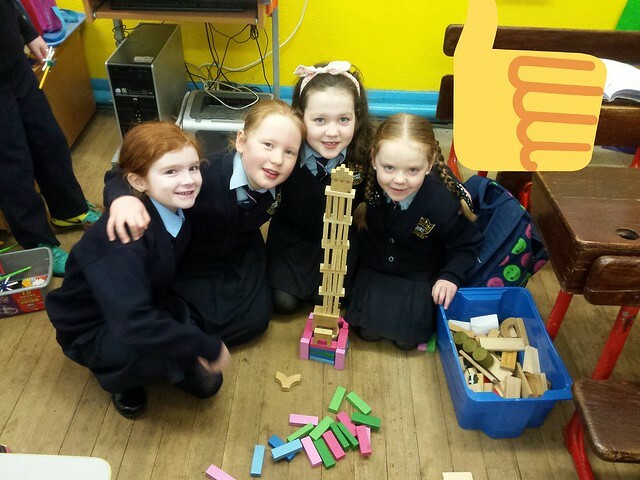 This is a great way to learn about co-operation, positive team building and respecting the opinions of others.